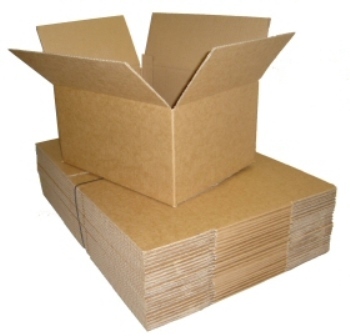 10 x Single Wall Cardboard Postal Boxes 12"x9"x5"
Home » Boxes » Single Wall Boxes » 12"x9"x5" Single Wall Boxes » 10 x Single Wall Cardboard Postal Boxes 12"x9"x5"
A Pack Of 10 x Single Wall Packing Cardboard Boxes 12x9x5". Perfect for small items, A4 documents, leaflets etc. Most commonly used in the printer industry as well as by on-line sellers for sending small products (eg nutritional products etc). These have an A4 size base (12x9") and are 5" high. All stated dimensions are length x width x height. These boxes are compliant with the new royal mail 'small parcel' guidelines effective 1 April 2013, and subsequently updated in October 2014, hence carry a reduced rate of postage in the royal mail system, as they qualify as small parcels.